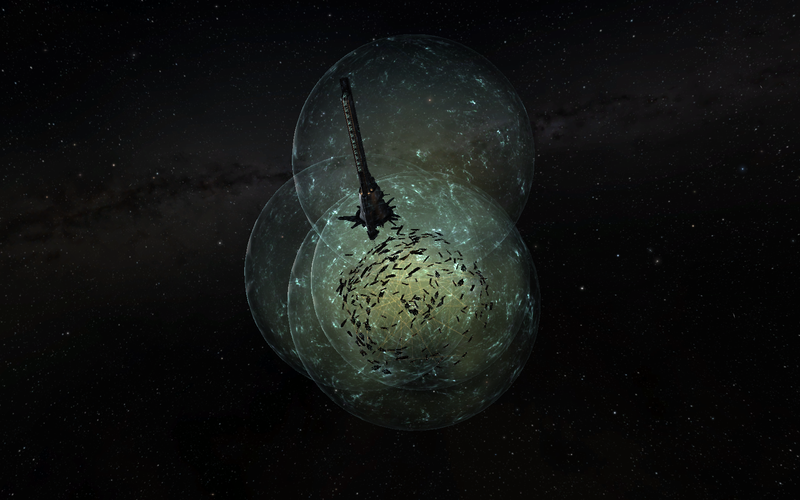 The weekend’s biggest story in EVE Online was, without a doubt, the large capital engagement between N3/PL and DTF/CFC. Just a few hours prior to the engagement, a joint announcement was issued on CFC and PL forums, as well as TheMittani.com, regarding the future of OTEC and the B0TLRD Accords. These two news pieces would seem to be at odds with each other; together, they demonstrate a fatal flaw in nullsec today. The largest drivers of nullsec content have agreed to abstain from going into full war against each other, even when there are not many entities left to fight against. The blue doughnut will continue to exist. Why? Because sovereignty warfare is broken. In late January 2010, the first war of the newly introduced Dominion sovereignty system escalated in D-GTMI, led by the former AAA leader and FC Manfred Sidious. Due to the possibility to “alarm clock” large numbers of pod pilots (courtesy of the new timer system), sov war combatants could now maximize the number of allied pilots in a contested system. Before TiDi was released, that meant the force that could get their fleets in the target system first had a substantial advantage. On the day of the final timer of D-GTMI, the defending Providence holders jumped their ~150 capital fleet in deep safes, extracted them, then jumped back in at point blank range with a local count of 1700 and… black screen… dead capitals. Four years later and three jumps away, history repeated itself Saturday. Again led by Manfred Sidious (now Pandemic Legion’s campaign commander), a large amount of hostile dreadnoughts were killed in HED-GP without being able to fire back. I was stuck in the jump tunnel animation for 4h and 15min before I loaded grid. Luckily my side was winning and my passive fit Aeon never was in real danger, so I could add my DPS to shred another 35 hostile dreadnoughts. 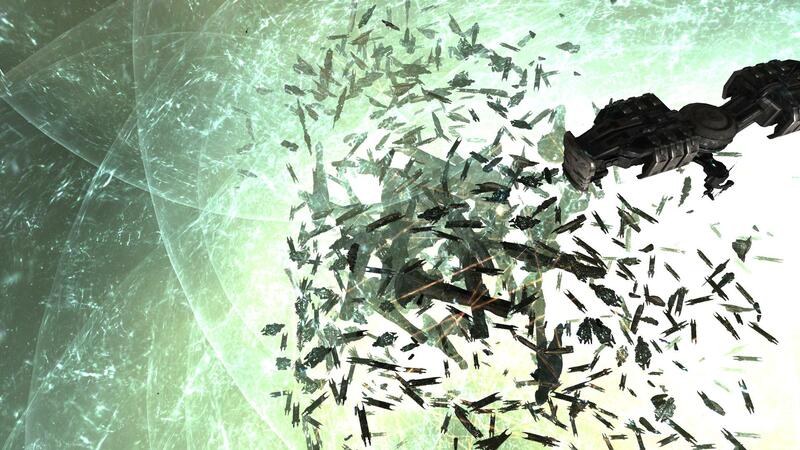 Although CCP has worked on the server hardware, software solutions, and optimisations like TiDi, it was clear that sooner or later the large nullsec blocs would break the limit of EVE server nodes. Since 2010, most of the large scale engagements that brought media attention to EVE, which in turn brought new subscribers, were sovereignty timers. With swelling numbers in nullsec, however, we have once again reached a level that shows the main feature of nullsec as unplayable for a large amount of new pilots and veterans. Which brings us back to the problem in nullsec: the Dominion sovereignty system. The core fundamentals of the system have not been touched for four years now, despite being introduced as the ‘first iteration’ of a new sovereignty mechanic. Unfortunately, further iteration on the system never came to be. Some alliances formed large coalitions to meet the need for high, consistent sub-cap numbers to successfully engage in sovereignty warfare; others invested in large numbers of supercapitals. While both tactics are very different, they share the same basic idea: structures with an absurd amount of hitpoints need a high amount of DPS to kill, especially when there are many timers and many opportunities to stop attackers. There are some good, and even more bad, ideas on how to fix sovereignty in nullsec. At this point many EVE nullsec grunts and leaders just want to have a new system – it doesn’t have to be a perfect system from the start. Factional Warfare seems to be in good shape, and CCP spent a year of development time there. I would gladly accept the trials and tribulations of a new system if CCP would only develop one, and commit to tweaking it for a year. Every time a large battle like HED-GP happens we see that, despite all of CCP’s iterations and fixes for various legacy features of the game, the single most outstanding feature in the sandbox is still broken. CCP’s future vision is very vague and probably does not include a new sovereignty system. Past Councils of Stellar Management had been very active advocates for a nullsec revamp. This year, however, CCP was not even interested enough in the topic to hold a session regarding nullsec during the last Summer Summit. I hope that this topic will be touched in the upcoming Winter Summit. At least my CSM, Sala Cameron, was of some assistance to my colleague HVAC Repairman, who just wanted HED-GP to be over. Unfortunately not every problem can be solved by a Doomsday!